Stepping beyond knowing, how do we proceed? Opening to the unexpected, ready for change. Breakages occur; how do we meet them? Offering grounding, embodied practices, 3 classes daily, POC only and + Allies spaces, questions into dancing. Application is OPEN + spots still remaining! *Special discount: Sign up for both Queer CI Lab & Jam + Fissure and get $150 off! Email contact@earthdance.net if you're interested. This workshop will explore mayfield's ongoing dance practice and project "Improvising While Black/IWB" using voice/body, somatics, contemporary dance, contact improvisation, afropessimist theory and practices specifically from mayfield's upbringing in the pentecostal church. mayfield queers "praise dance" by using speaking in tongues, trembling, catching spirit, as secular collective worship--participants investigate movement that moves the soulful body. There is an awareness of ancestors, ancestral land and an interplay with what the body remembers and forgets. We acknowledge our privilege, oppression, joy and trauma. There is play, dynamic partnering, deep belly laughter, wandering, reading, writing, questioning, critiquing, seeking, democratizing, deconstructing, and whatever else we find in the wildness of improvisation. The process of embodying and incorporating unintended events, interruptions, and disturbances into our experience of dancing will be practiced. Learning to be ready for the unexpected. With Contact Improvisation as a reference, we include a focus on releasing and extending the body, sharpening the senses and developing an awareness of internal and outward spaces. 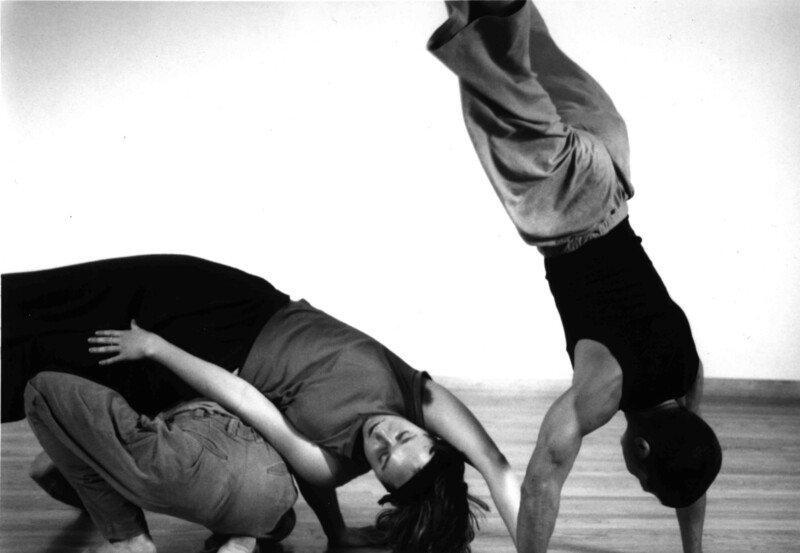 We will integrate the language of Contact Improvisation into a larger improvisational milieu so we can freely move in and out of partnering while developing a readiness for surprise. We’ll also engage in developing perceptual skills grounded in varying levels of sensory awareness that can inform our ability to engage in decision making and learning as we play in the field of the unexpected. Tuning Scores (originated by Lisa Nelson) is a dance practice that unveils sense desires as motivators; movement as collateral choreography; time as music and rhythm; space as palette and environment. Tuning promotes collaboration between individuals willing to engage, play, and occupy shared space. A collaborative communication process, Tuning proposes ensemble creation where each participant embodies their unique responsibility for action/non-action. Friction between consorting images provides feedback for the groups’ collective learning, discovering, inventing. Relying on our life-long underlying movement skills— like CI experience or expressions such as singing, spoken word, object puppeteering, space design— we will use our resources to serve and tune the images revealed as we improvise. Class will include rigorous sensory warm-ups, physicalizing thru CI, and playing with a cluster of scores to grow edges. Above pricing include meals and dormitory-style lodging. As Earthdance runs as a​ community, all participants contribute to chore shifts (typically meal cleans) throughout the week and a Final House Clean on Sunday, May 25th. These are great ways to connect more with your fellow participants, Earthdance staff, and to feel more at home here. We will be welcoming you into this collective home and thus so appreciate your contributions to our space!